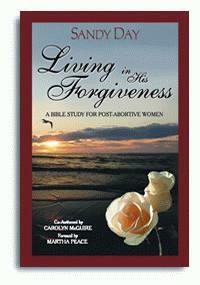 Life changing stories from women who now live in God’s forgiveness.These stories offer hope through the experiences each has faced, which in turn led her to a peace regarding the past that only Christ can offer. How to handle Mother’s Day and Sanctity of Life Sundays. Forgiveness through repentance knowing and understanding what Jesus Christ did for us on the cross and how we can walk in this Truth.This section is key to understanding forgiveness. God’s principles for living in reconciliation, coming to terms with those who have hurt and/or offended us. God’s principles for living in the future, hope for the future in how we can live in His forgiveness from this day forward. A closing word we provide a time for the reader to write a letter to God for all He has done in her life. If you are interested in leading the study, a leader’s guide can be sent to you if you contact us either by phone (704) 841-1320 or email us at abbeysplace@calebministries.org. A week-to-week guide will be provided for you along with ideas for a memorable last night celebration of all that God has done through the study. Provided below is Personally to you (Introduction), Chapter 1 (Days 1-3), and all of Chapter 2. 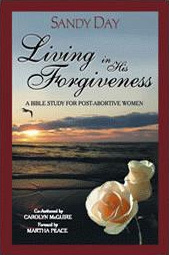 After studying what is provided we pray that you will purchase the whole book to discover all that God has provided for you to live in His forgiveness.